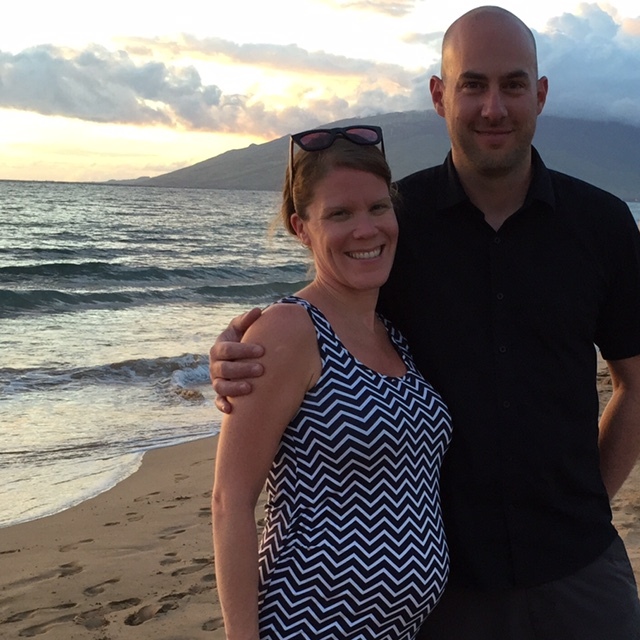 Chris and I just got back from a babymoon in Maui. Ah, it is so nice to be home, but ah, it was just so nice to be away. The last time we were on that island, we were on our honeymoon 12 years ago. We found quite a few new areas that we fell in love with this time and asked ourselves why did we not find them before? Ah, yes, the Internet. After Chris and I ran off to Kauai all those years ago and got married on a beach, we spent a few hours posting photos from our wedding in Kauai to our website for friends and family to see. We remembered how slow it was and how long it took over what was not called dial-up but should have been, and how expensive it was because we were paying by the minute. Since the Internet was not a big thing in all Hawaii resorts at the time, we were at the mercy of guidebooks, maps, and word of mouth. This time we had word of mouth from friends that frequent Maui often AND the Internet. We found two little towns on the road to Hana that were perfect for us. No, we did not drive the road all the way to Hana. I am not sure I could have handled it with how many times I have to pee per hour, and sometimes the winding turns makes my big belly a bit queasy. 12 years ago we never explored the east side of the island (only the west and south parts). This time we found: Paia and Makawao. Paia is on the way to Hana and is on the Hana Highway. It is right on the water and the beaches that neighbor this small strip of a town are ones that in the winter have the massive waves that attract surfers from all over. So Paia could be called a surfer town, but without all the cheese and touristy feel of say a Lahaina (sorry for those of you Maui buffs that love Lahaina). It is an old sugar plantation town. I kept trying to rack my brain for what Paia felt like to me. It was like an Ojai, California in Hawaii with more shops and restaurants. It felt natural and real without the pretentiousness of the shops in Wailea that bring those from the neighboring Four Seasons resort. It inspired my senses and creativity. Then we drove down Baldwin Ave to Makawao. I had heard about Makawao because of the famous “malasadas” known mostly in Honolulu at Leonard’s Bakery. Since we were not going to Honolulu, I wanted to try what I could in Maui. A little Internet research told me that T Komoda Bakery was one of the places to go to try their version. So of course I wanted to continue south on Baldwin to explore Makawao and get a malasada. I found another interesting little town, inland, but just as charming. Almost as though you were going to be in wine country, only you are actually in cattle country. Galleries, boutiques, and restaurants down another cute strip. Oh, and guess what? T Komoda Bakery was on vacation from the day we arrived for 3 weeks. So no malasadas, but we found two great towns that will be on the list the next time we are back in Maui. And yes we still got malasadas – thank you to Home Maid Bakery. They do not start making their evening batch until 4 pm, and on our way back from Paia and Makawao were an hour early and they still made us a dozen! I am glad to be home in my bed, but I do already miss paradise and my daily dose of shave ice!